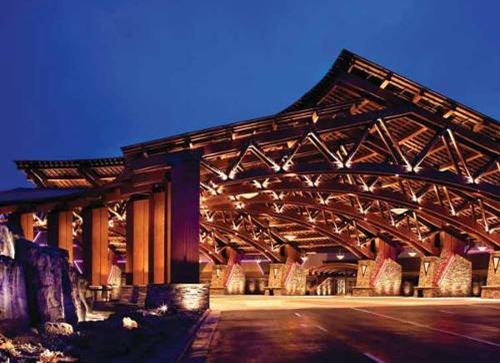 This 228,300 square foot resort is built in the foothills of the Sierra Mountains east of Sacramento, California. The project utilized special foundation systems to “terrace” the structure into the side of the mountain. Since level 1 of the garage is situated 85 feet below the resort entrance, three precast bridges are used to enter and exit the parking garage. The project cost was $120-130 million.